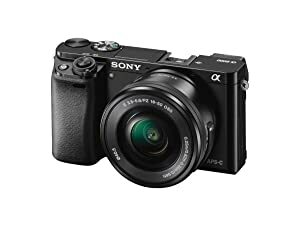 The α6000 is a super compact Mirrorless camera that’s about half the size and weight of a typical DSLR, yet it has the same size APS-C image sensor as most DSLRs. The interchangeable lenses and E-mount system make the α6000 more versatile than almost any other camera on the market. 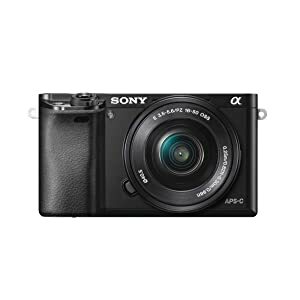 Never miss the moment - the α6000 captures 11fps frames per second in continuous shooting mode with AF (Auto Focus) tracking by making the most of the wide-area 179-point phase-detection AF sensor. Even when dealing with fast action the α6000’s superb moving-subject tracking performance ensures you get a great shot during still or video capture. Get incredible detail and gorgeous enlargements thanks to the newly developed 24.3 megapixel Exmor APS HD CMOS image sensor. 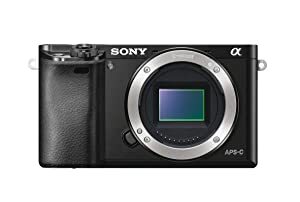 It’s higher resolution than most DSLRs and adopts the same gapless on-chip lens structure as the α7R for ultimate image quality and light sensitivity. Sharing has never been so easy. 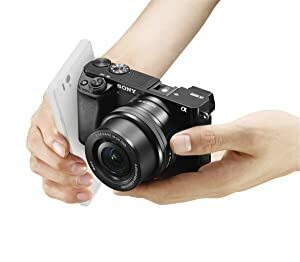 Wi-Fi connectivity allows you to control your camera with your compatible Smartphone or Tablet and the PlayMemories Camera Apps.5 Frame your image on your device’s LCD and control the camera shutter. 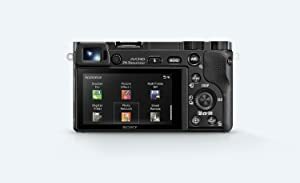 You can even transfer the images taken directly to your mobile device for quick editing and uploading - Connectivity has been simplified to one-touch utilizing NFC (near field communication). Simply touch the camera to the compatible NFC enabled device to connect. With 20% higher sensitivity than the NEX-7 due to the newly developed Exmor CMOS sensor and BIONZ X processor, you get stunning detail in in low light from ISO range 100 – 25000. And for an additional burst of light, the α6000 features a pop-up flash and a standard hot shoe for additional flash accessories. Despite its small size, the α6000 gives you full DSLR control and immediate access to the functions you need to shoot like a pro. Two dials on top and a rear-mounted control wheel allow quick selection of shooting modes and camera settings. In addition to the Fn button, there’s seven customizable buttons, which can be assigned any of 474 functions. Make movie magic with Full HD 1920 x 1080 video in cinematic 24p, or capture fast action at incredible 60p and 60i frame-rates.3 Made even easier with the α6000’s 179 point AF (auto focus) system – tracking moving subjects is not a problem. 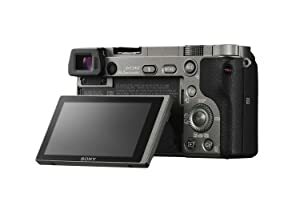 Selectable in-camera – Blu-ray quality - AVCHD or simple and easier upload to the web - MP4 codecs are available. 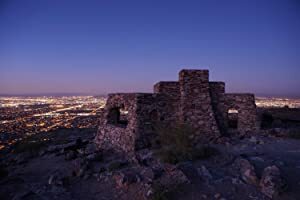 For serious videographers, uncompressed clean-screen video files to external recording devices is made possible via the HDMI connection. There’s never been anything quite like the Tru-Finder OLED electronic viewfinder (EVF). The OLED EVF features a new optical system with four double aspherical lenses that deliver 100% frame coverage and a wide viewing angle (approx. 33°) for clear visibility from corner to corner dramatically improving visibility. View every scene in rich tonal detail and gradations on the high contrast 1.4M dot OLED EVF. 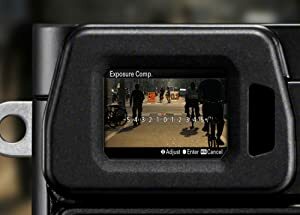 The viewfinder faithfully displays what will appear in your recording, including the effects of your camera settings, so you can accurately monitor the results. There are many advantages to electronic viewfinders, including the ability to display the effects of various camera settings before you take the picture, the use of MF Assist, and Peaking function for fine-tuning focus and previewing the shot. The tiltable 3.0” (921k dots) Xtra Fine LCD Display makes it easy to photograph over crowds or low to capture pets eye to eye by swinging up approx. 90° and down approx. 45°. Easily scroll through menus and preview life thanks to WhiteMagic technology that dramatically increases visibility in bright daylight. The large display delivers brilliant-quality still images and movies while enabling easy focusing operation. Personalize your camera by adding new features of your choice with PlayMemories Camera Apps. Find apps to fit your shooting style from portraits, detailed close-ups, sports, time lapse, motion shot and much more. Use apps that shoot, share and save photos using Wi-Fi Easily control your camera via smartphone. 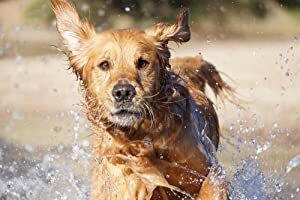 Post photos directly to Facebook or backup images to the cloud without connecting to a computer.5. 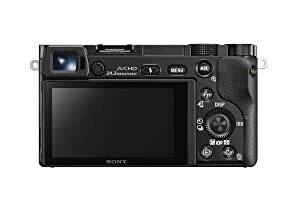 Enhanced Fast Hybrid auto focus combines speedy phase-detection AF with highly accurate contrast-detection AF. Fast Hybrid AF has been accelerated through a new Spatial Object Detection algorithm, to achieve among the fastest autofocusing performance of any camera (0.06 second). First, 179 densely placed focal plane phase-detection AF points swiftly and efficiently move the lens to bring the subject into focus. Then contrast-detection AF with wide AF coverage fine-tunes the focusing in the blink of an eye. 2014 Sony Electronics Inc. All rights reserved. Reproduction in whole or in part without written permission is prohibited. 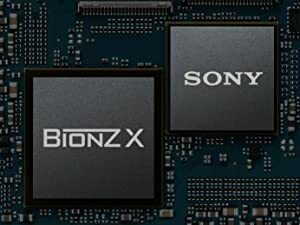 Sony, BIONX X, Exmor, Tru-Finder, PlayMemories Camera Apps and the Sony logo are trademarks of Sony CorporationHDMI is a trademark of HDMI Licensing LLC. Wi-Fi is a registered trademark of the Wi-Fi Alliance. All other trademarks are trademarks of their respective owners. Sony is not responsible for typographical and photographic errors. Features and specifications are subject to change without notice.